Shanghai Oriental Pearl TV Tower, with a height of 468 meters high is the 4th highest in Asia and the 6th highest tower in the world. Construction commenced on July 30th, 1991 and was completed on October 1st, 1994. It faces the Bund across the Huangpu River. Built with eleven steel spheres in various sizes hanging from the blue sky to the green grassland, the body of the tower creates an admirable image, which is described in an ancient Chinese verse as: large and small pearls dropping on a plate of jade(大珠小珠落玉盘). The tower consists of 6 main parts: 3 gigantic columns，the 1st sphere called bottom ball(下体球)，the 2nd sphere known as upper ball(上体球),the 3rd sphere called space capsule(太空舱)， other 5 small spheres, basement and the square. There is a totally transparent panorama lift between the columns offering a quiet good view of Shanghai. This was the first wholly transparent elevator in the world. The Oriental Pear Radio & TV Tower has 3 main sightseeing floors where tourists could enjoy the city view from different heights. The Space Capsule (the 3rd sphere) is 350 meters off the ground and at 263 meters is the major sightseeing floor, the 2nd sphere. There are 2 outdoor sightseeing floors. One is 259 meters off the ground (in the 2nd sphere) and the other is 90 meters from the ground, in the 1st sphere. Tourists can visit these parts together or separately. 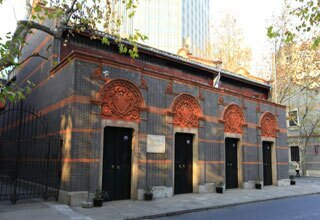 The basement houses the Shanghai Municipal History Museum. The Oriental Pearl Science Fantasy World is located in the 1st sphere. A revolving restaurant is 267 meters off the ground, making it the 2nd highest dining area in Asia. Sitting 259 meters above the ground, the glass-bottomed sightseeing corridor on the upper ball is absolutely the most attractive part in the Oriental Pearl TV Tower. You can experience a 360-degree view of Shanghai while standing on the corridor. 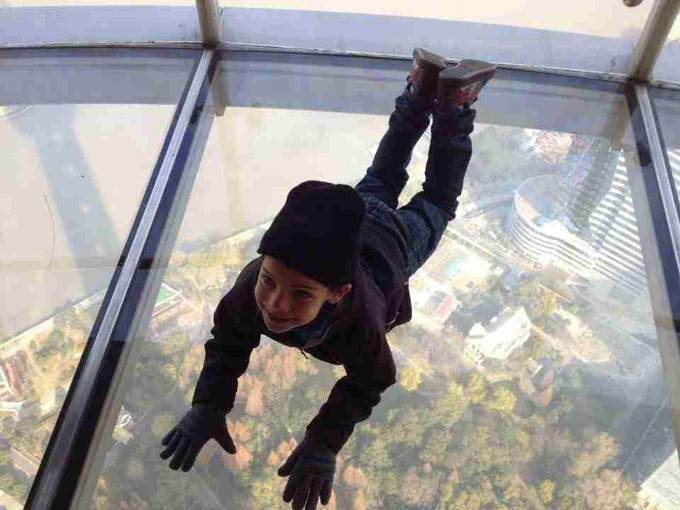 You can also challenge yourself by walking through the 150-meter-long corridor and keeping your eyes looking down through the transparent glass floor. 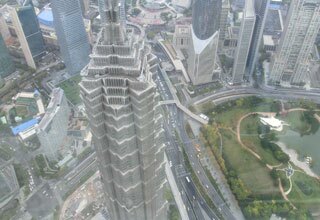 The corridor on the Oriental Pearl TV Tower is not the highest sightseeing terrace in Shanghai, but it offers you the widest vision. The Shanghai Municipal History Museum (上海城市发展陈列馆) is located in the Tower&apos;s pedestal and features the development of Shanghai over history. 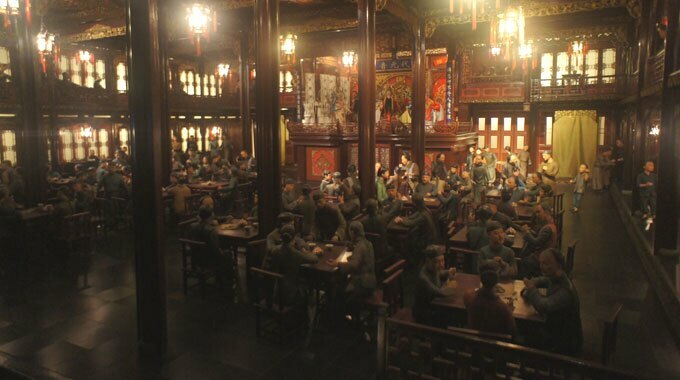 Tourists can about learn Shanghai’s history in a vivid way through a display of valuable relics, documents, pictures and advanced audio-visual presentations. 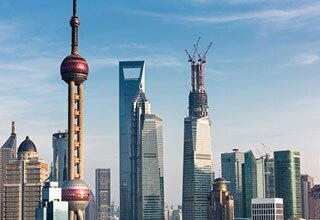 The show is made up of 6 parts: leased territory, old municipal construction and street scenes, urban economy in shanghai modern culture, city life and political changes, and displays the profound changes in every aspect of Shanghai. The inside part of the Space Capsule looks like a space shuttle. 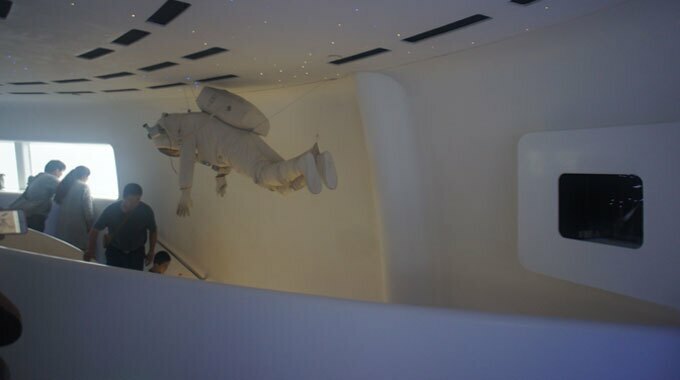 An astronaut is welcoming you at the entrance of the Space Capsule and you can learn some knowledge about the outer space and the tower via the videos and photos in the Space Capsule. The revolving restaurant (旋转餐厅) is 267 meters off the ground. Diners get a spectacular view of Shanghai City while enjoying lunch or dinner. It is the 2nd highest revolving restaurant in Asia, covering an area of 1,500 sq meters and seats 350 customers at a time. The restaurant revolves once every 2 hours. The night view is particularly awesome. The price of the meal includes the programs of Ticket B. Price for Revolving Restaurant: 388 RMB; Reservation needed. Note: You can also book it through your hotel staff. Most hotels and hostels offer the service. Take Metro Line 2 and gets off at Lujiazui Station (Exit 1) for a ticket fare of 6 Yuan/person. Ticket B: 160 Yuan/person for the 1st sphere + the 2nd sphere+ Shanghai Municipal History Museum. Ticket for Shanghai History Museum: 35 Yuan. Ascending to the Oriental Pearl TV Tower during daytime and admiring the night view of the tower and the Bund at night, join in our Classic Shanghai Tour to do them all!